Hello everyone! Happy Sunday and Happy 1st March! it was such a bright and sunny day today to welcome the new month. I love Sundays like this. 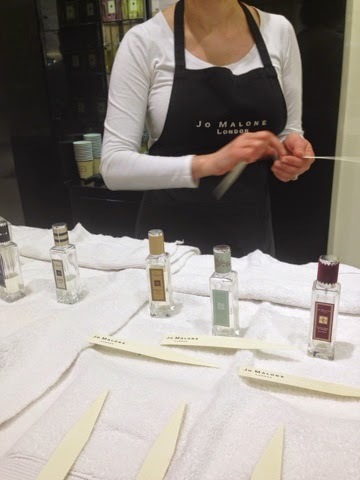 Yesterday, I went to a Jo Malone event launching their new collection 'Rock the Ages' and I thought I'd share some of the photos with you. 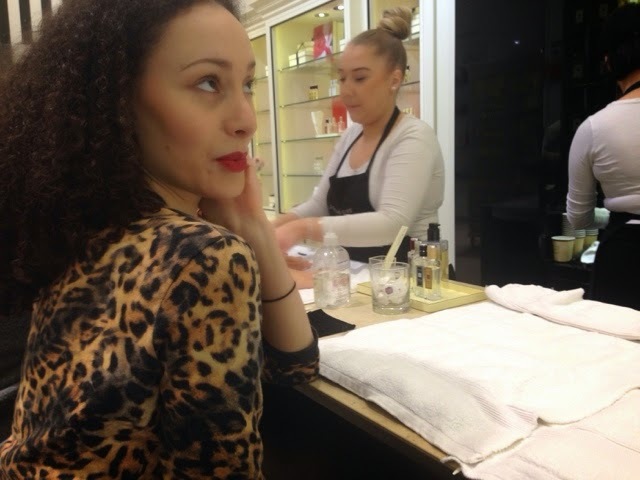 My friend and I went to Fenwicks in Brent Cross where we had a 11,30 appointment to be taken through the new collection and have a gorgeous hand and arm massage. 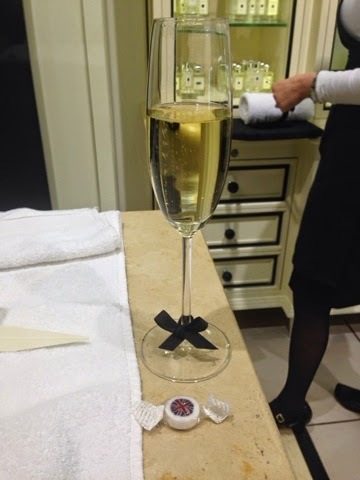 Greeted with a lovely glass of bubbly with the signature Jo Malone bow on the stem - how chic! 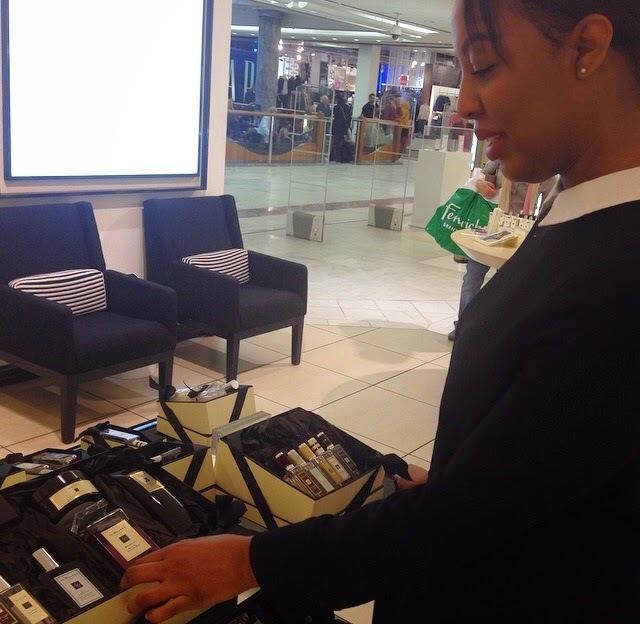 Each lid of the cologne has a distinctive material to represent that era. See the collection here for more details. 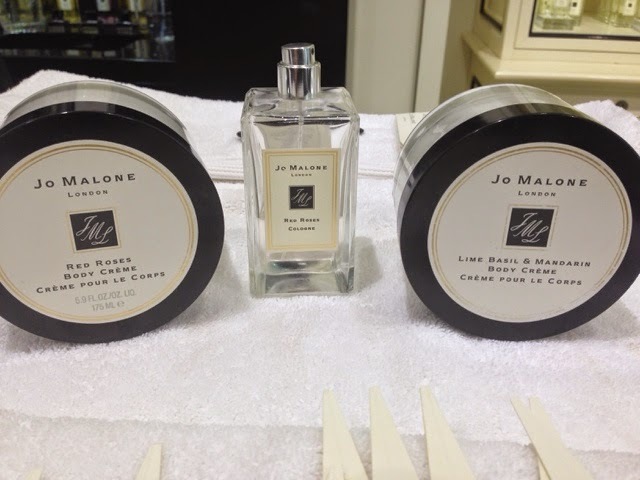 I have always wanted a Jo Malone fragrance or candle. 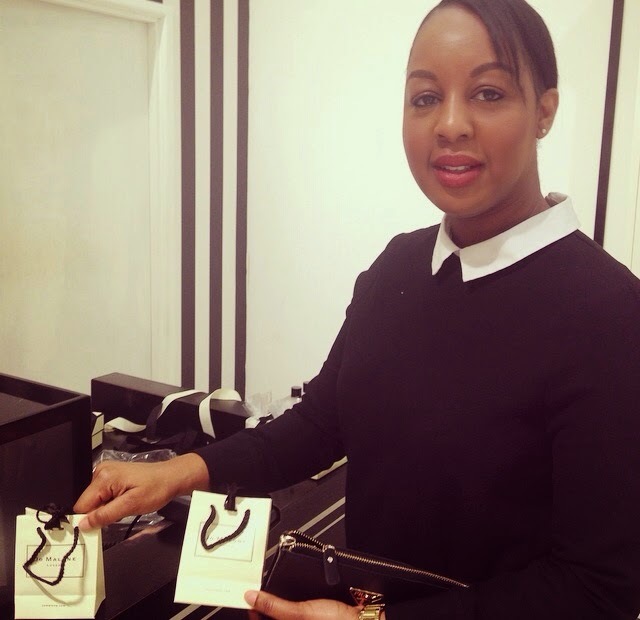 It's a very luxurious brand with an excellent reputation and we were lucky enough to be taken through a very bespoke one-to-one service yesterday to find our perfect scent. 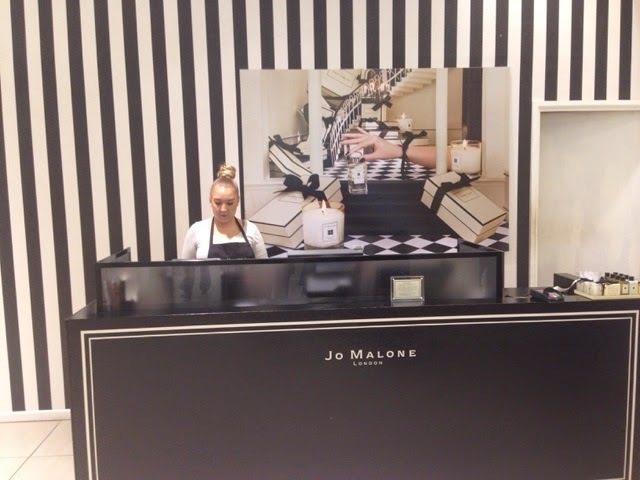 My black & white outfit from Zara matched the Jo Malone interiors! 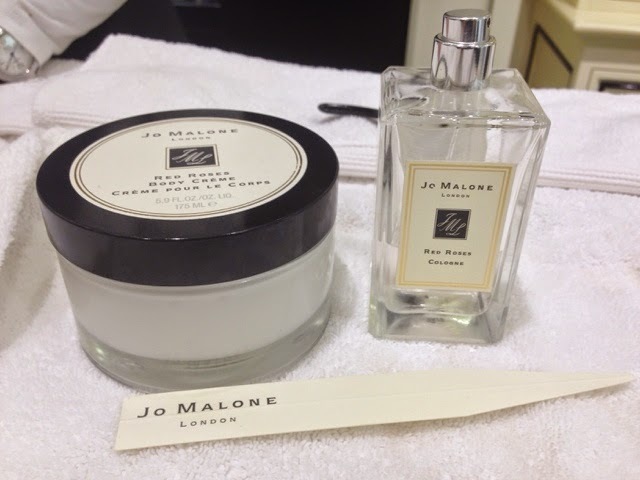 As mentioned before on my blog, I love the scent of roses and the Jo Malone 'Red Roses' fragrance is divine! 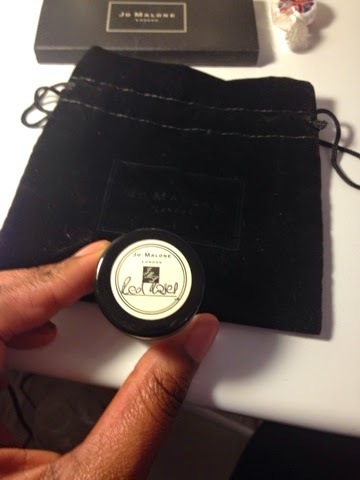 I had this massaged on one arm with the body creme to match and build up the scent. It lasted all day! 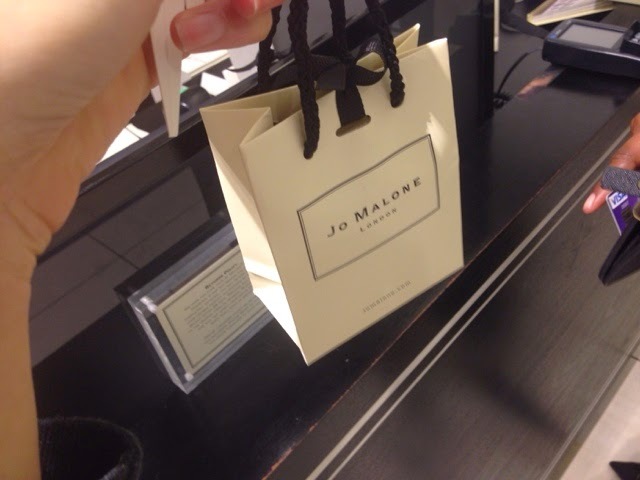 However, I wanted to purchase something that was more unique to Jo Malone as I could get a rose fragrance anywhere. 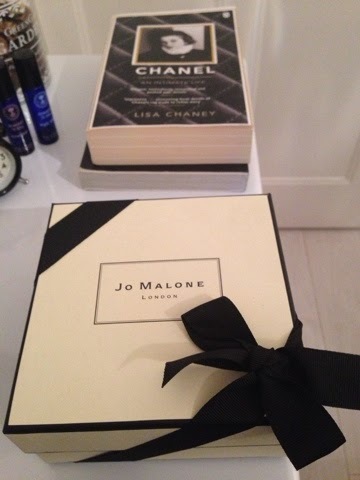 In the end after much sniffing, helped by our lovely Jo Malone associate, I decided to buy the Earl Grey and Cucumber scent and the classic Pomegranate Noir candle. 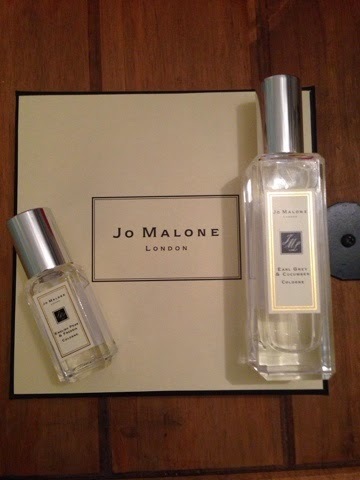 After our session we were each given a little complimentary gift of the English Pear & Freesia cologne. I loooove these chic black matchsticks that come with the candles.....Fabulous! 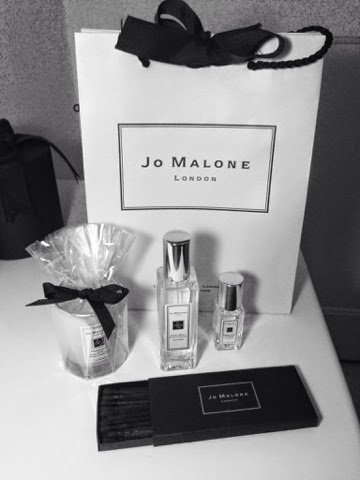 I seriously think that I might be addicted to Jo Malone now. 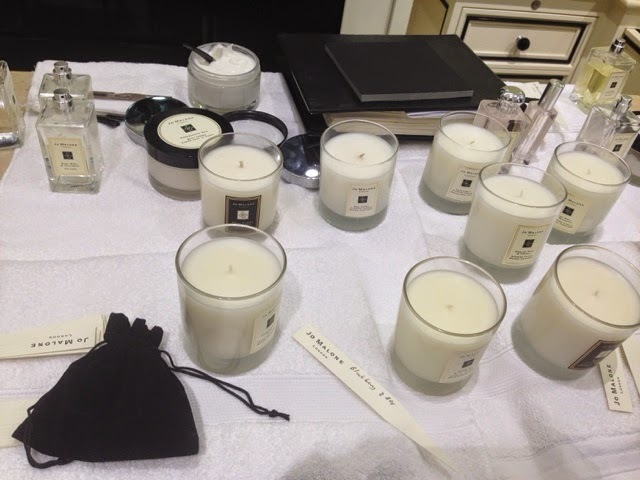 I already have my eye on one of their candles called Peony & Blush Suede - simply divine! Will update and share with you all very soon.